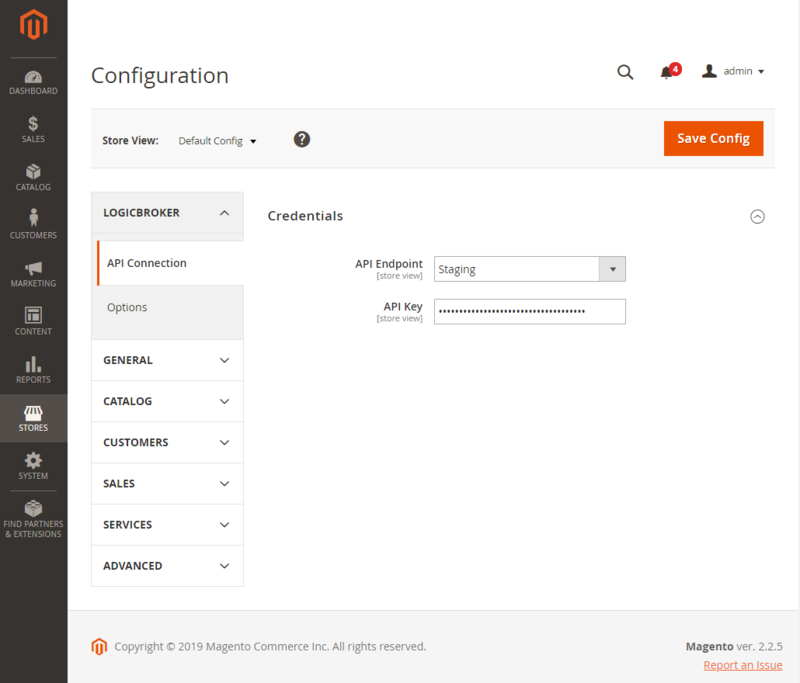 Once you have a Logicbroker account, you can download the Logicbroker extension from the Magento Marketplace. 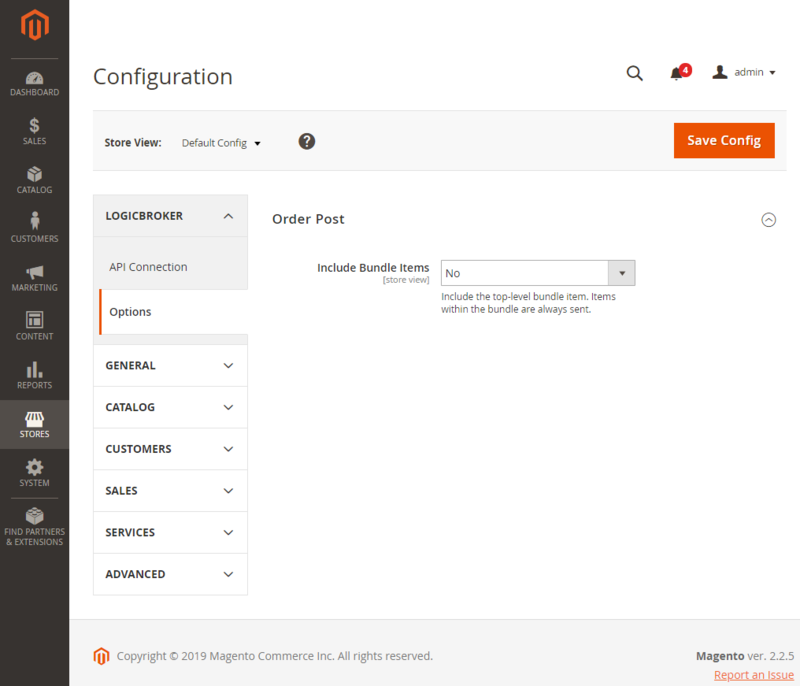 It installs just like any other Magento extension. Once it has been installed, you'll see a new "Logicbroker" tab on the configuration page. Now that you have the Logicbroker extension installed, you need to configure it with your Logicbroker API key before it can communicate with the Logicbroker system. This API key can be generated and found in the Logicbroker Portal under Settings -> API Authentication. There are separate API keys associated with your staging and production environments. Be sure to match the API key with the proper API endpoint. We recommend you start out with your staging environment. Once you've tested everything in the staging environment, switching over to production is as easy as using your production API key and changing the API endpoint to "Production". Under the Options tab in the Logicbroker extension configuration, you have the option of including any top-level bundle items on your order. You can change this any time to suit your needs. Regardless of your choice, items within the bundle will always be included. That's it! The extension is ready to go.